I am the really good kind of exhausted after a slam dunk good time last night. Despite my initial anxiety, I was able to relax, enjoy the moment, and finally feel like a published author! 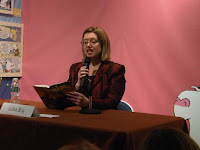 I read an excerpt, answered fabulous questions and signed over 50 books! Here I am asking Santa for some magical mojo when I visited the North Pole beforehand. Books of Wonder is, was, and always will be, an amazing place. I had the first taste of it's magic when Peter Glassman had a much smaller store, and my grandmother and I read from The Glorious Impossible. 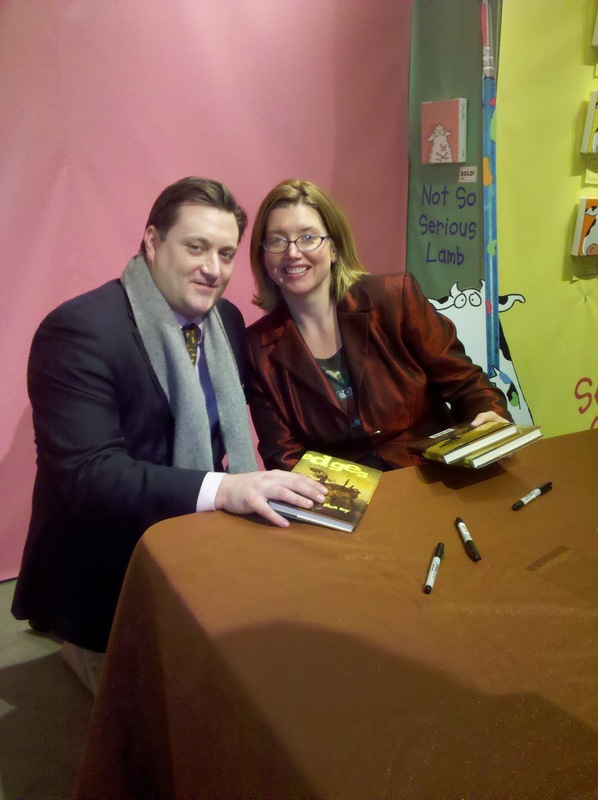 Little did I think or dream that twenty years later, Peter would be hosting my first book party! 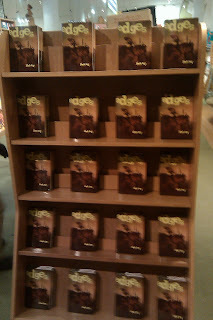 We walked in to a bookshelf facing the door, full of copies of Edges. 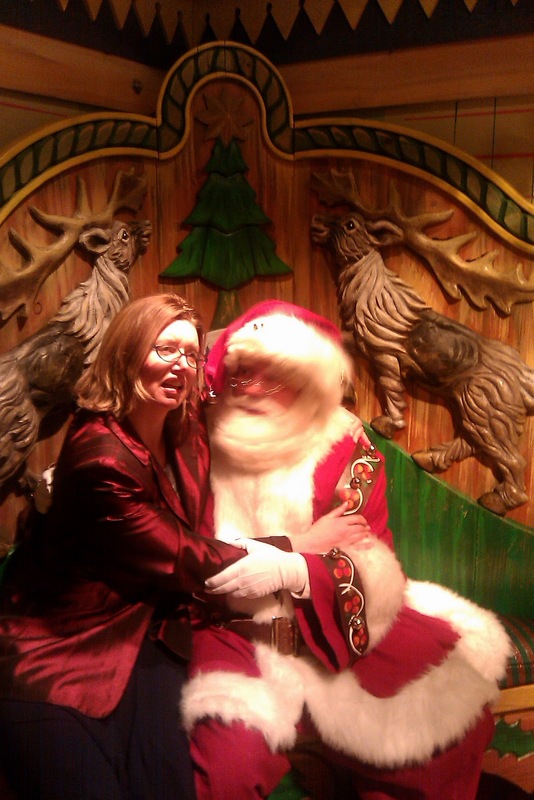 What a thrill! The staff were awesomely helpful and soothing; Peter gave me a stellar introduction, surprising me with his intimate knowledge of Edges, radiating authenticity in his admiration of it. 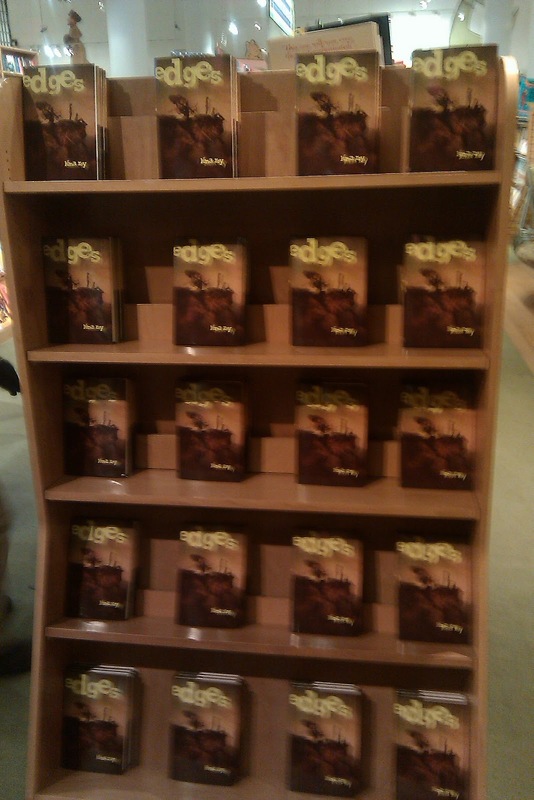 And dudes - I got to sign books! With a black sharpie! I found my edge last night - pushing myself beyond spiritual complacency and right into the moment. Tomorrow is the Writopia Open Mic/ Edges reading at the Borders in Mt. Kisco. I have to keep my expectations of attendance low, because Books of Wonder set the bar so high! Thank you so much to everybody who came out - I felt so loved and supported! Yes, yes, yes! So thrilled for you! The unique rotate complience seal will be just what delivers the particular PVC tarpaulin substance and also themowelding with each other to create a entirely water-proof carrier. cartier replica To be able to complience seal any WASP Carrier, or perhaps any dried up carrier for that matter, you should crease the particular beginning above alone 3 times. Simply by collapsable that strongly and also much, the particular built in friction inside the PVC tarpaulin substance signifies that grabs about alone. This kind of generates a great airtight complience seal, which is the trick to be able to rendering it water-proof. When oxygen can’t be in (or perhaps out there), how do h2o? fake chanel outlet That can’t. The particular folds has to be company, clean and also limited. chanel gst replica Should they usually are not company or perhaps limited adequate, right now there won’t do friction to generate a great airtight complience seal, as well as the carrier won’t become water-proof. gucci flora replica An individual must also make certain the particular carrier isn’t thus total which you can’t crease the most notable above enough instances. replica prada The great thing concerning a great airtight complience seal will be that when an individual don’t expel mid-air in the water-proof carrier (that you carry out simply by driving that out there while casually having the initial crease), it's going to float about h2o. replica gucci handbags Plus it can easily twice being a secure pillow! Thus it’s the particular a few important layout top features of PVC tarpaulin substance, thermowelded design as well as the special rotate complience seal that most come together to produce dried up hand bags entirely water-proof.